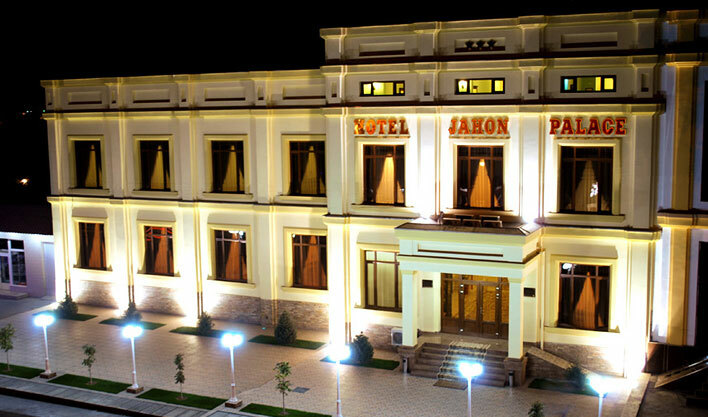 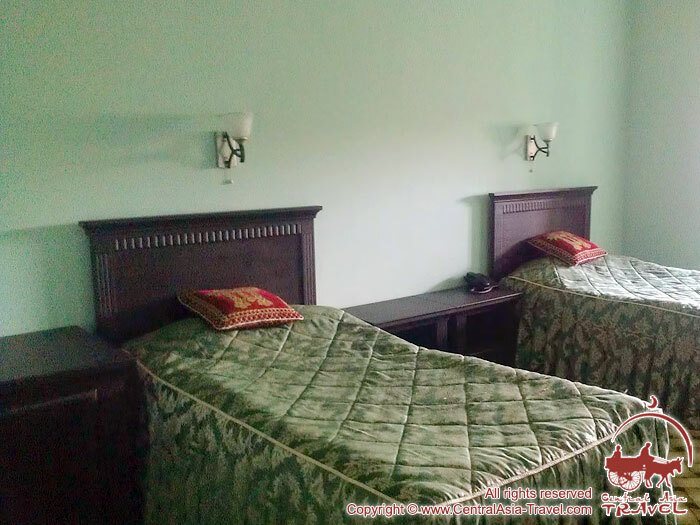 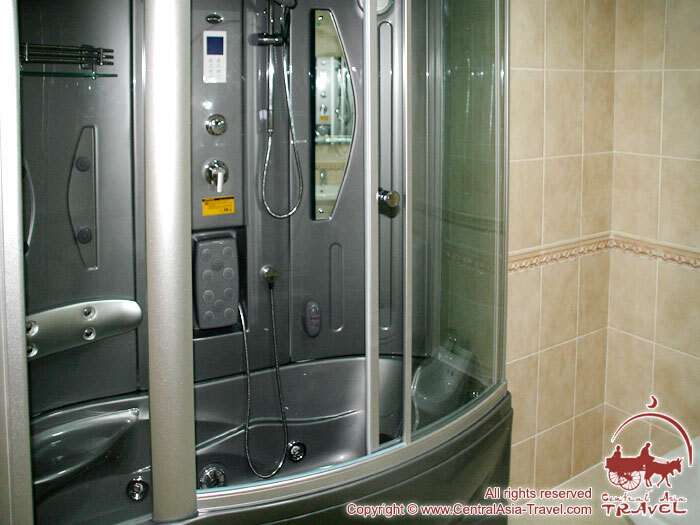 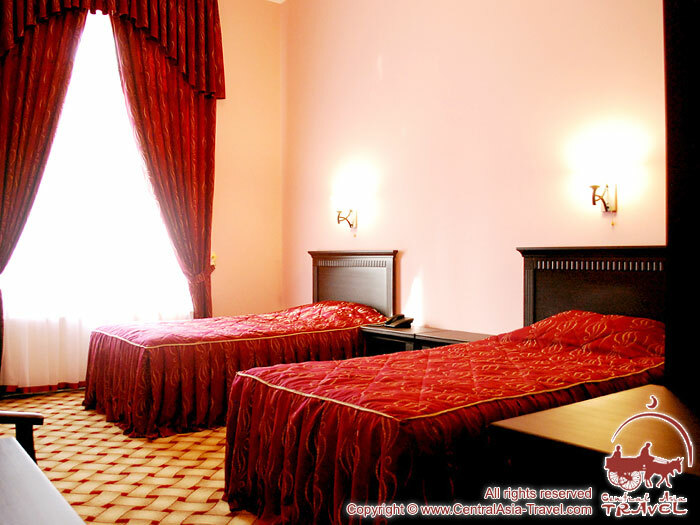 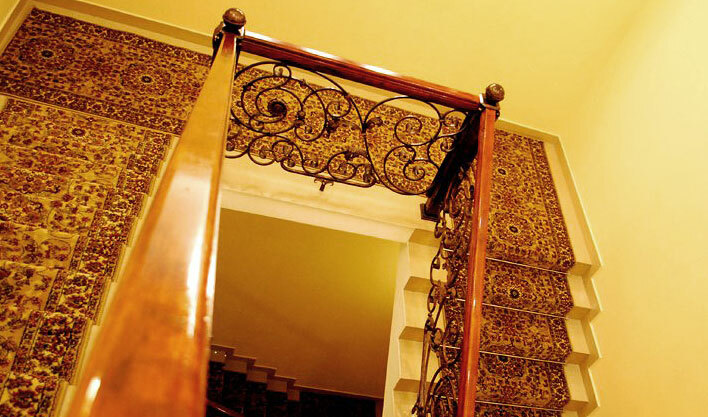 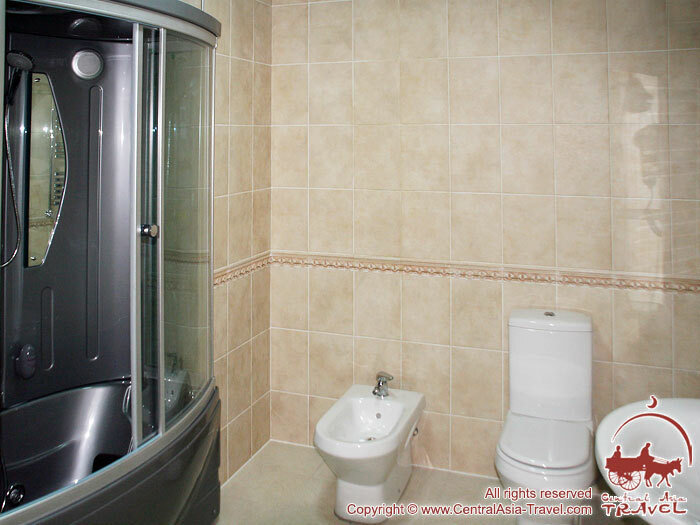 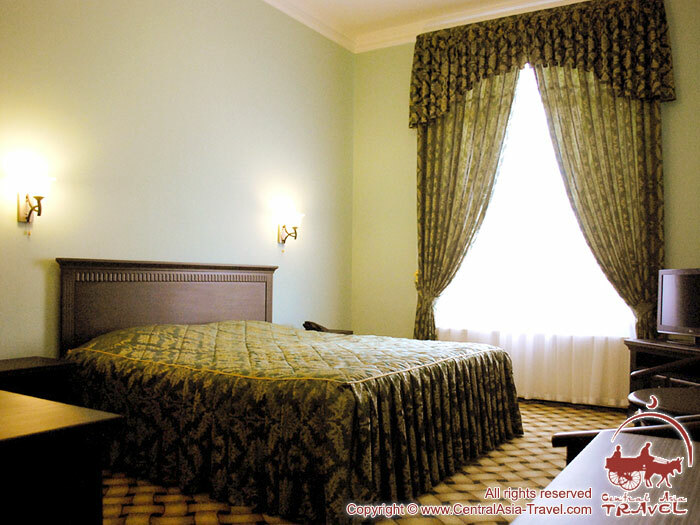 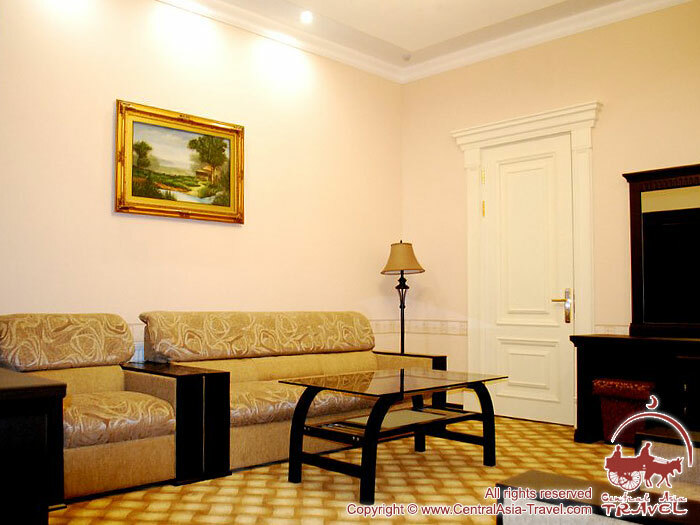 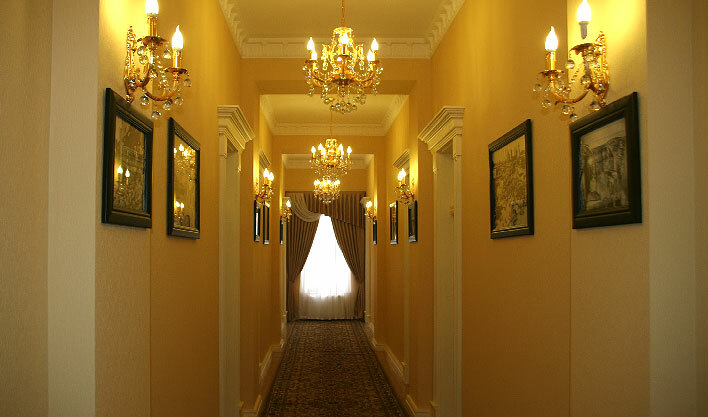 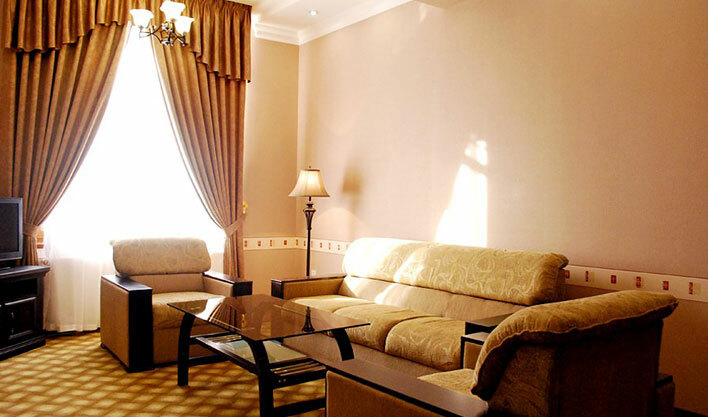 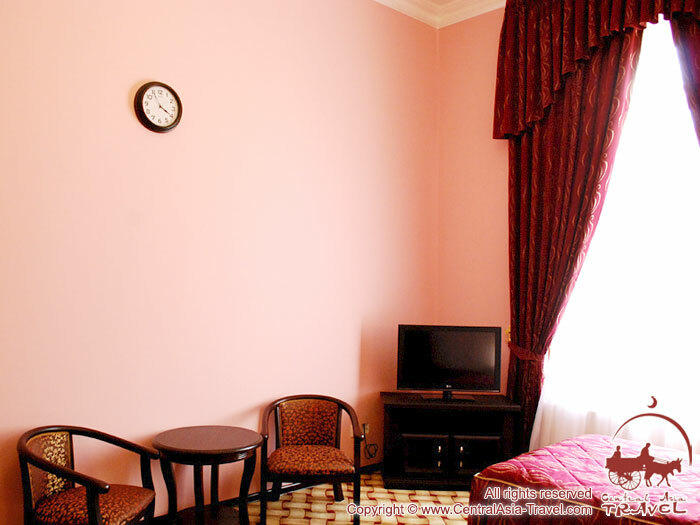 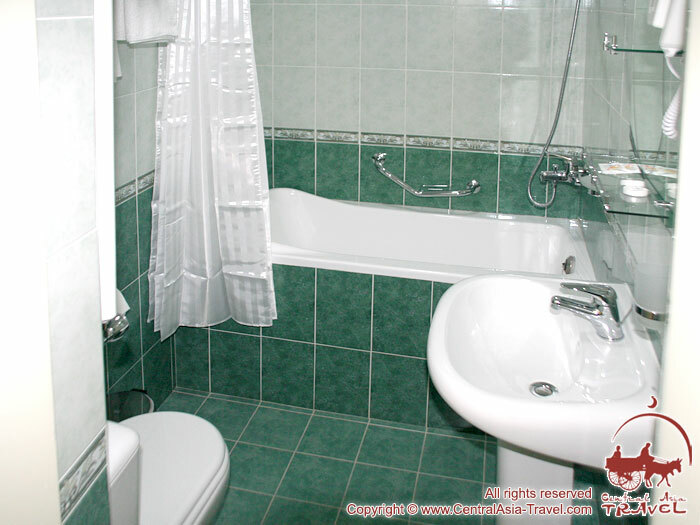 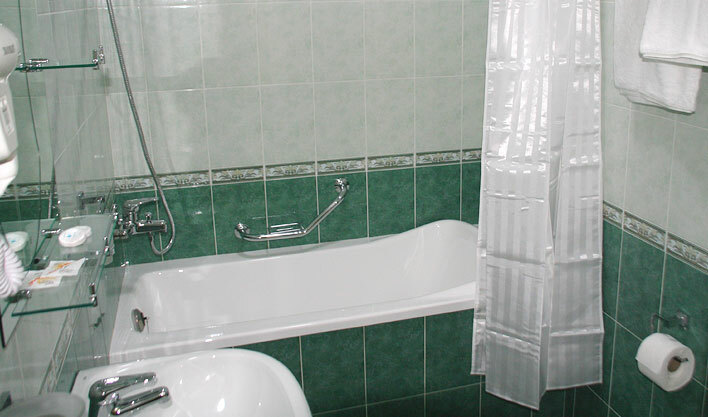 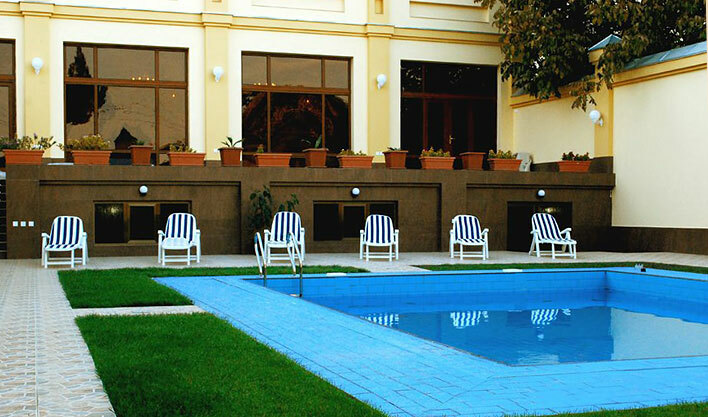 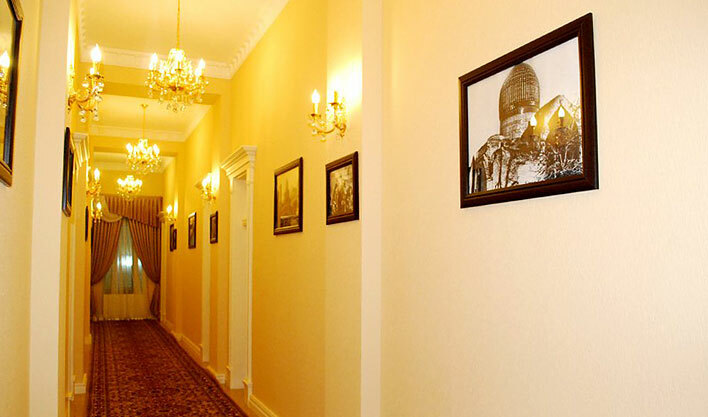 The cozy hotel "Jahon Palace" is decorated in modern classical style and is located 4 km from the center of Samarkand, 10 minutes drive from Registan Square. 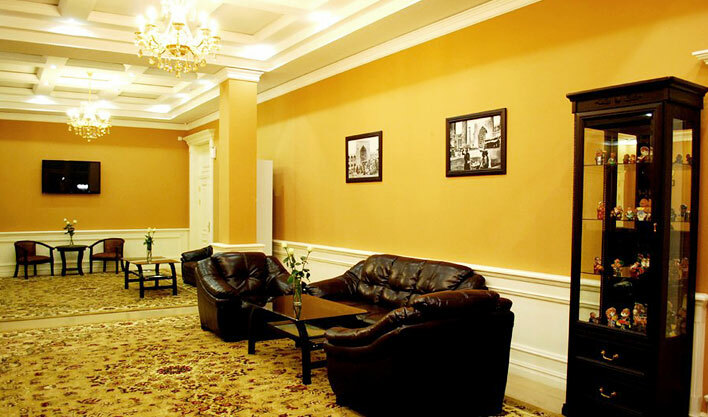 "Jahon Palace" offers guests a well-equipped conference room, where you can conduct various business events with the possibility of organizing coffee breaks. 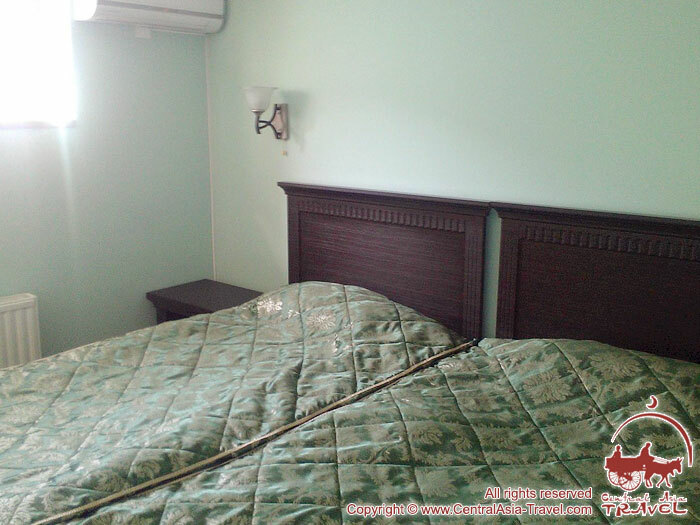 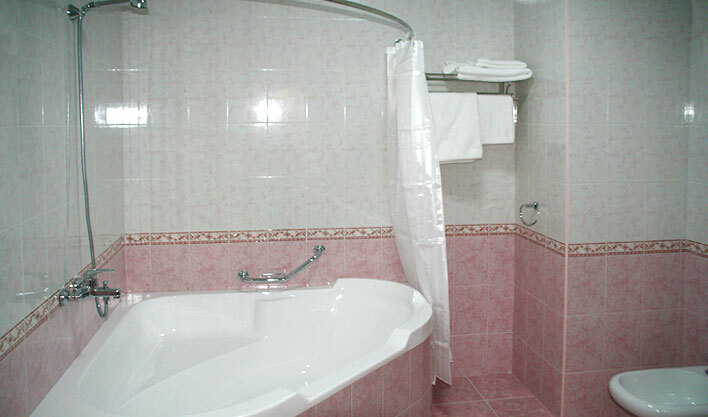 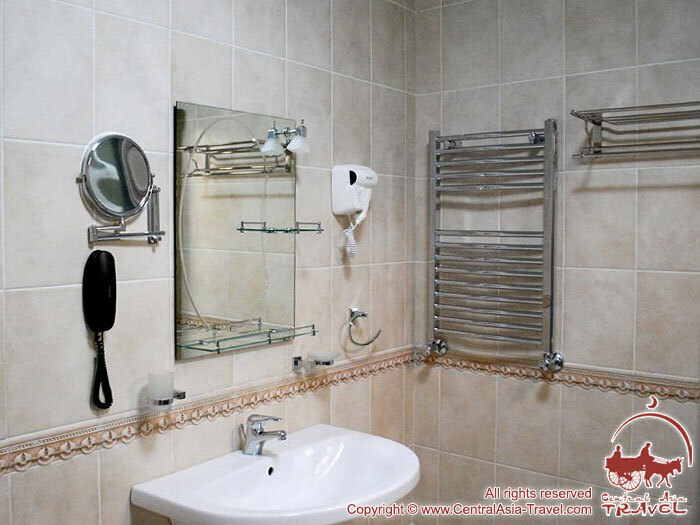 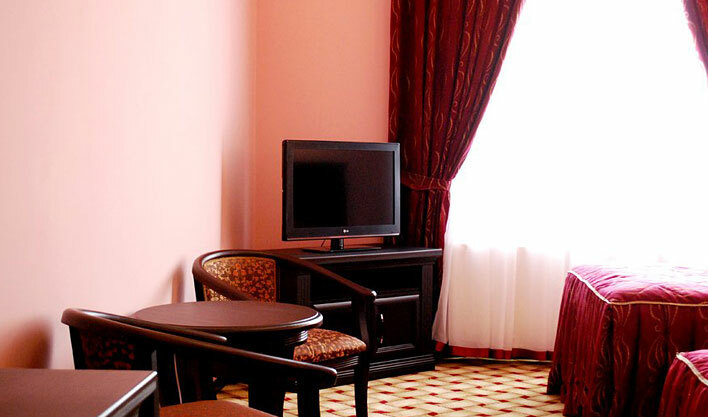 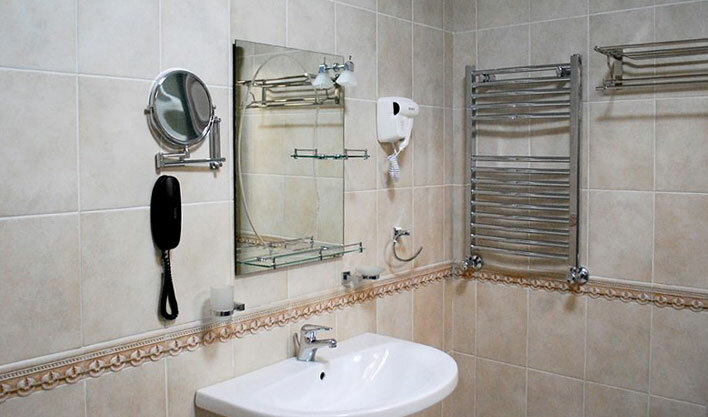 Comfortable, bright and spacious rooms of the hotel are equipped with everything necessary for a good rest. 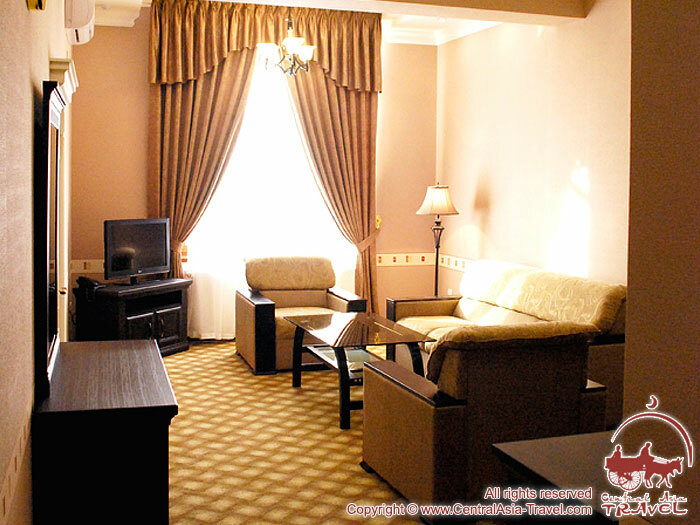 Wi-Fi internet is available on site. 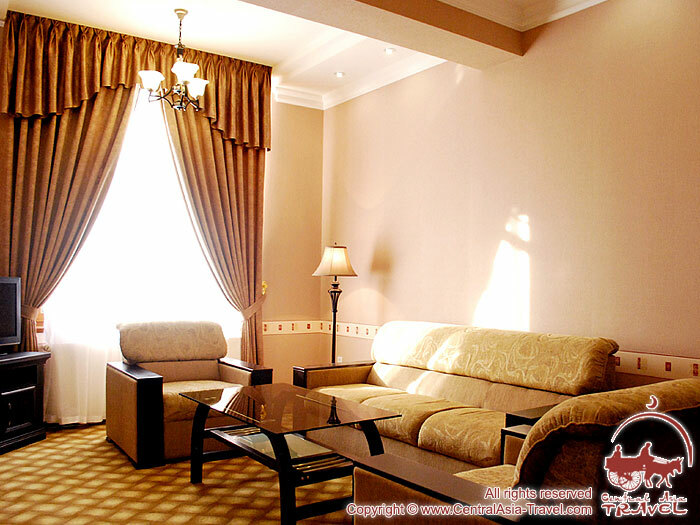 • Breakfast is included into the cost (buffet service). 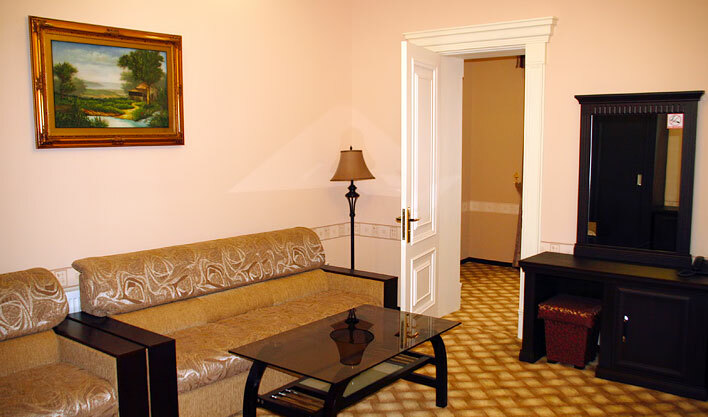 • ALl the rooms are for no smoking. 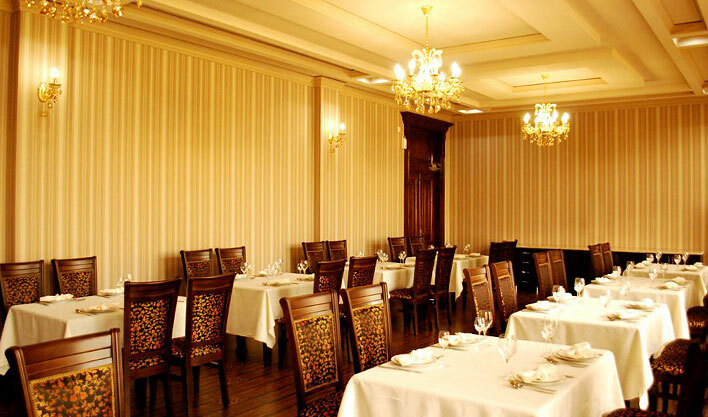 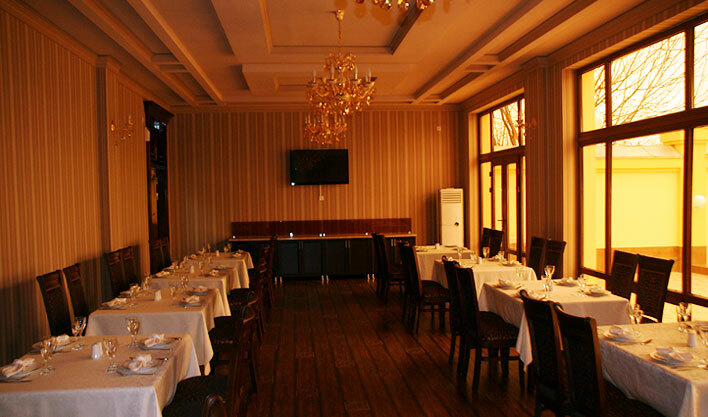 • Restaurant of uzbek and european cuisine, is designed for up to 40 guests. 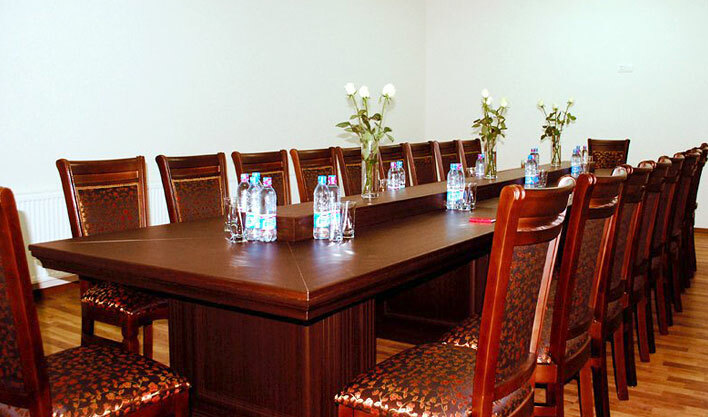 • Conference hall designed for up to 20 guests.